This book is one of the funniest and best I have ever read and I cannot say enough about the performance. I had tried to read this book before and honestly could never get into it. The performance brings it to life. Good Stuff: Extremely funny. This book is deep and surprising. It is both series of funny stories with no real point and a treatise on race relations in the United States. Complaints: I have none. Be warned that the N-word is all over this book. It is also edgy about religion sometimes. At a critical point Huck decides he will try to free a slave even though he knows it is wrong and will go to Hell for it. Conclusion: I laughed out loud for a third of the book. At the end I clapped even though I was alone in my living room. 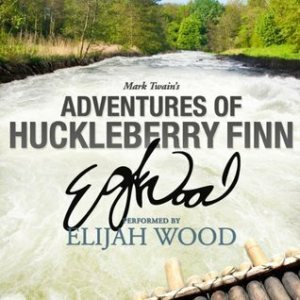 I am astonished at both Mark Twain and Elijah Wood. You have to listen to this book. Seriously.